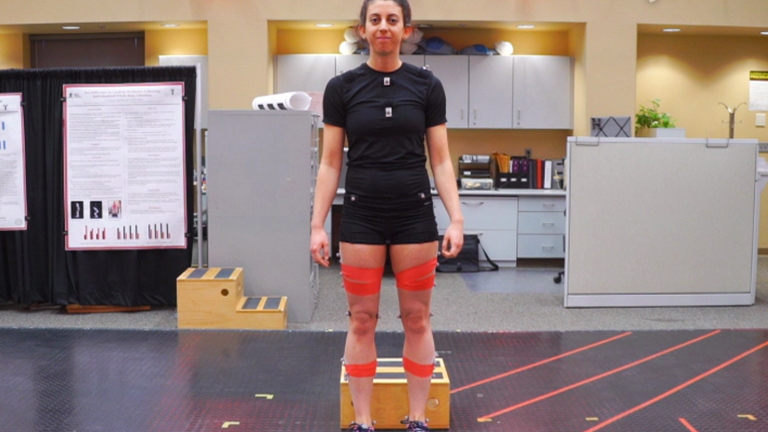 Subject-specific Musculoskeletal Model for Studying Bone Strain During Dynamic Motion Henry Wang1, Scott Dueball2 1School of Kinesiology, Ball State University, 2Life Fitness Inc. During landing, lower-body bones experience large mechanical loads and are deformed. It is essential to measure bone deformation to better understand the mechanisms of bone stress injuries associated with impacts. A novel approach integrating subject-specific musculoskeletal modeling and finite element analysis is used to measure tibial strain during dynamic movements.